Each case is divided for 12 bottles. 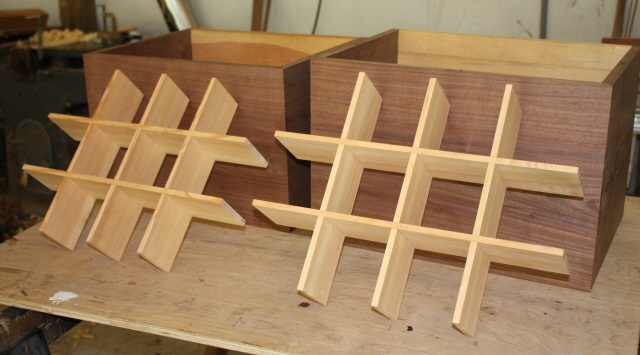 The dividers have been fitted together and will be put in when the cases are glued. This entry was posted on September 20, 2010 by furniturewithhistory. It was filed under cellerats progression series, Uncategorized .